Otaku House is pleased to announce that we are the Event Supporting Partner of the Singapore Toys, Games and Comics Convention (STGCC) 2011. We will also be selling official STGCC tickets from all Otaku House outlets. 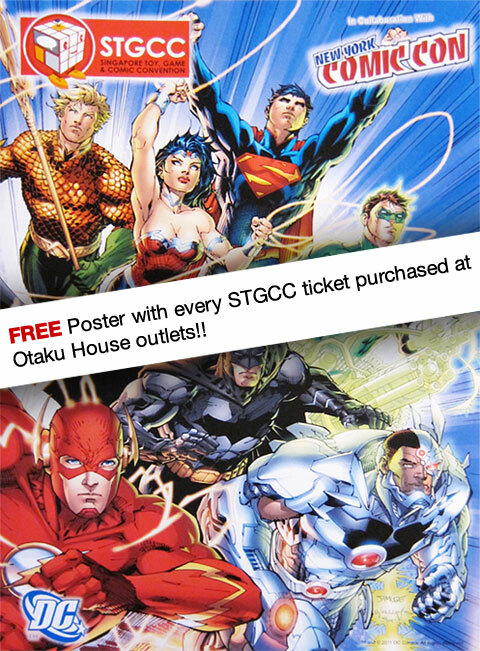 From now till 21 August 2011, get a FREE limited edition DC Comics Justice League Poster of your favorite DC heroes with every purchase of a STGCC ticket from any of the Otaku House outlets! 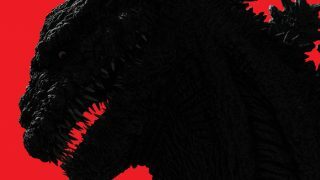 This year’s STGCC promises to be even more exciting event than last year’s, with special guest appearances such as Japanese Cosplay Diva Kipi, Japanese Seiyuu Itou Shizuka and more! 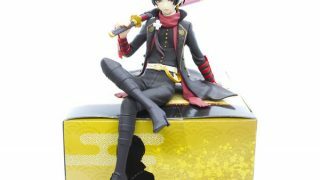 Otaku House will also be *launching the Momiji Dolls, to which we are the official Singapore distributor, at STGCC 2011. So be sure to check out our booth there too! *edit : Delay in shipment, so launching of Momiji Dolls will be in September 2011 instead. Watch out for it in Otaku House stores!